A toilet bowl choke is a common problem that many people across the local area will deal with from time to time. Generally, this occurs when something that is too big to pass through the home’s pipes is flushed down the toilet. Sometimes, it is caused by something as simple as too much toilet paper, and other times, a toilet bowl choke may be caused by an object being mistakenly flushed down the toilet. These are only a few causes of a toilet bowl choke, and regardless of the cause, the result is generally the same. When flushed, the toilet generally cannot eliminate the water and other debris in the toilet bowl as desired. The water in the bowl may rise, and in some cases, it may even gush out across the floor. Learning how to deal with a toilet bowl choke is imperative. The very first step that you should take when dealing with a toilet bowl choke is to stop the flow of water to the toilet. With a toilet bowl drain choke, the water may leak slowly onto the floor before stopping. With other chokes, the water may continue to spread out onto the floor until the water valve for the toilet is turned off. You simply have to reach behind the toilet to turn the valve to the off position. The valve usually will look like a knob on your water faucet. If you cannot get it to budge, you can turn the main valve to your home’s water supply off. You can also open the tank lid and lift the floater up to stop the flow of water. Placing an object under the floater so that it is elevated may be suitable until you can remove the choke. Be sure to mop up the water on the floor immediately to prevent water damage from developing in your home. With some chokes, you can easily address the issue on your own without needing to call a plumber to your home. 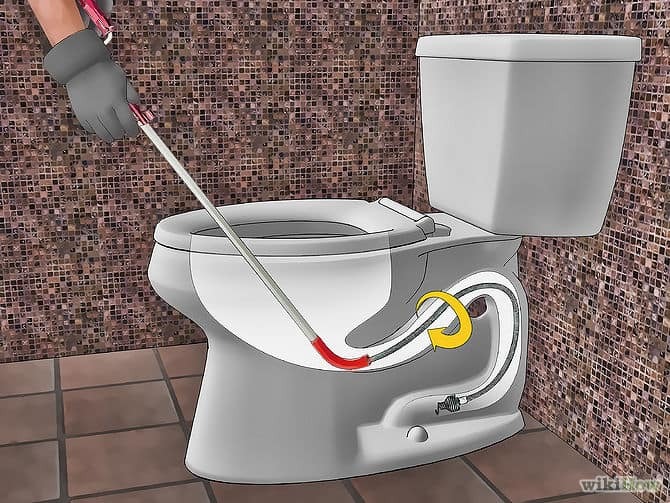 If you have a plunger, you can simply place the plunger over the drain in the bottom of the toilet bowl and apply an upward and downward movement. You may need to repeat these process several times. Keep in mind that you will need to turn the water flow to the toilet back on to flush the toilet after the toilet bowl choke has been removed. Some basic chokes can easily be remedied with a plunger, but other chokes require more extensive efforts, professional skills and enhanced equipment. When you have a toilet bowl choke that you cannot clear away on your own, you need to call for professional assistance from a local plumber. A Singapore plumber may use various techniques to clear away the choke. A snake is one device that is commonly used with chokes, and it may knock a lodged object loose or allow the object to be pulled out of the toilet. Most toilet bowl choke issues are not considered emergency situations because the homeowner can stop the flow of water and may have access to another toilet in the home. However, if the water flow will not stop for some reason or you only have one toilet, you should look for a Singapore plumbing company that offers 24-hour emergency service. A toilet bowl choke can be an inconvenience, and it is often a rather undesirable problem to have. However, many chokes are easy enough to remedy with a plunger. If you have trouble with your water valve or cannot remove the choke with a plunger, you should contact a plumber for assistance. Read here for advice on sink choke and how you can unclogg it.